Small changes can make a big difference when it comes to using water wisely. Every drip, faucet, and flush multiply quickly to affect your water bill and your impact on the environment. Our A.B. 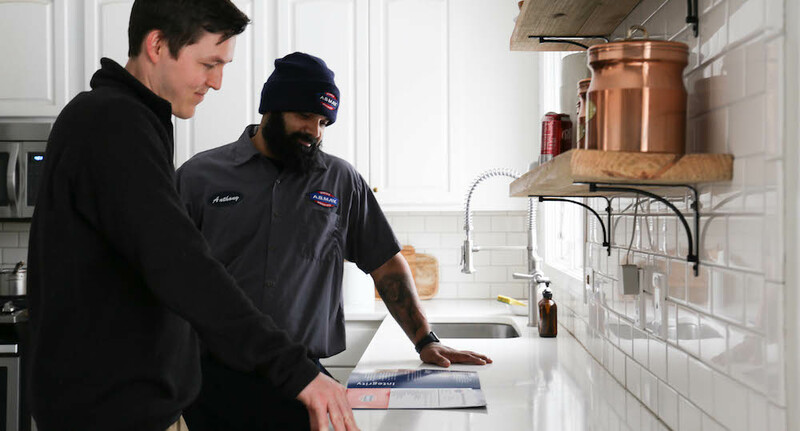 May plumbers have lots of experience finding leaks and installing quality fixtures that will save water while meeting your family’s needs. Many of our customers have experienced water savings by adding high-efficiency toilets and replacing old faucets. There are several simple changes you can do right now to save water. The following are from an organizatiton called Water Use it Wisely. Turn off the water while you brush your teeth and save up to 4 gallons per minute. That’s up to 200 gallons a week for a family of four! Collect running water while you wait for hot water and use it to water your garden or houseplants. Trim a minute or two off your shower and save up to 150 gallons a month. Soak pots and pans instead of running the water while you scrape them clean. Use as less water to cook food. This also helps retain nutrients.